BTPS "Annual Report 1987 - 1988"
One of the unique features of operating the tram beside Lake Wendouree is the amount of swans, ducks and waterfowl that congregate on the track. 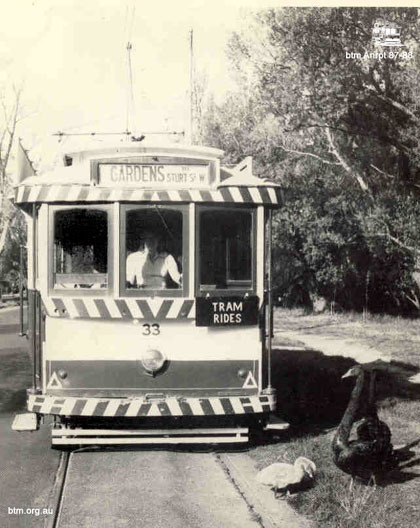 Carolyn Dean of the Ballarat Tramway Museum, eases No. 33 pass a family of swans in 1988.